McALLEN — The third time attempting to smuggle drugs into the United States was not the charm for a Mexican woman. 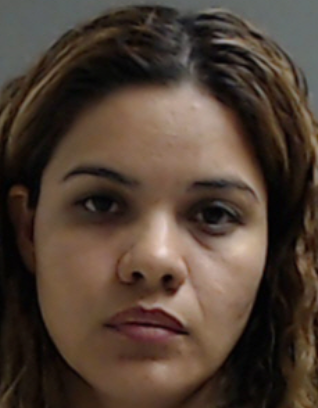 On Wednesday, a federal district judge sentenced 36-year-old Genesis Castro-Reyes to 70 months in federal prison in connection with a late May arrest at the Anzalduas International Bridge, according to court notes. Castro-Reyes, a Mexican national from an unidentified city, was arrested May 21 at the port of entry after U.S. Customs and Border Protection officers discovered several bundles of cocaine hidden within the vehicle she was driving, according to a criminal complaint filed against her. CBP officers were alerted to narcotics in her vehicle during the initial inspection when a canine alerted them. Officers subsequently discovered 18 bundles of cocaine weighing approximately 20.42 kilograms, the complaint states. Castro-Reyes was charged with four different offenses in connection with the arrest; among them are attempt/conspiracy to distribute a controlled substance and importation of a controlled substance, court records show. Castro-Reyes originally pleaded not guilty to the charges against her but changed her mind. In late September, she agreed to plead guilty to count two of the indictment — importation of a controlled substance — in exchange the government agreed to dismiss the remaining three counts against her. The woman told authorities the vehicle was given to her by an unidentified acquaintance who instructed her to transport the vehicle into the United States, court records show. She said she agreed to transport the vehicle to a business in Mission; in exchange, she was to be paid $1,000, the complaint states. As part of the terms of her prison sentence, Castro-Reyes, who has been in custody since late May, will not be subject to supervised release upon the end of her 70-month prison sentence. In fiscal year 2017, CBP officers seized 56,729 pounds of cocaine, according the U.S. Customs and Border Protection website.